Abstract: Movement, a literal change in physical location, is often overlooked in historical studies of medieval miracle texts. Instead, scholars largely focus on the “miracle-working power” of the saints or other cultural economic, political, religious, and social details that can be gleaned from these sources. This dissertation adds to such readings of texts on saints’ miracles by using movement as a category of analysis. 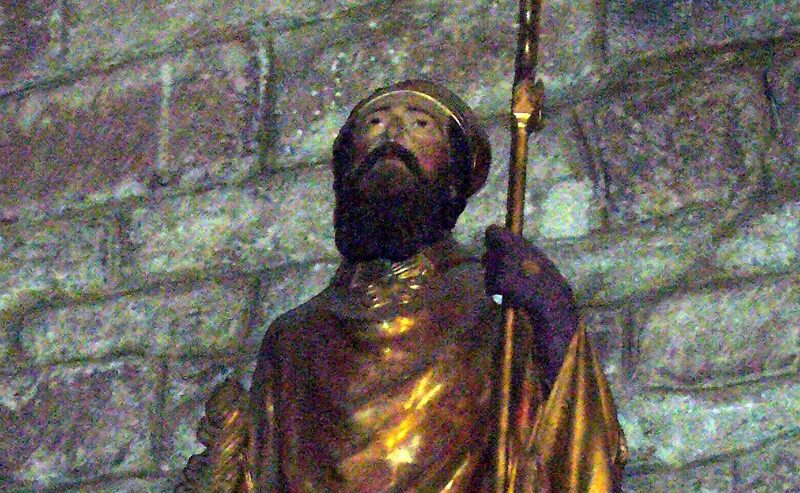 In the miracle texts of Saints Vivien at Figeac, Privat at Mende, and Enimie at Sainte-Enimie, all written in the eleventh century in the south of France, movements abound in a flurry of danger and excitement in reference to their relics. While the hagiographers never question the movements of relics, their discourse about movement of people shows a preference for stasis. If people must move, they should do so according to the proper protocol in support of the saints’ cults; out-of-the-ordinary movements, especially those “bad” movements made by proven criminals, are condemned and punishable by the saints. The first chapter introduces the field of research and the second chapter contextualizes seminal themes and the primary sources (reliquaries, the Peace of God, saints, and settings). After these two prefatory chapters, each of the three analytical chapters discusses different collaborations and directions of movement in the sources. Chapter 3 addresses the movements of relics and the populace on the road to and at Peace of God councils, portraying a sanctified version of the Peace. Chapter 4 examines movements of roving dangerous men-at-arms and retaliating saints wreaking vengeance away from the relics’ presence, showing that the anomalous movements of wicked men warranted reciprocal, similar movements on the part of vengeful saints. Chapter 5 recounts movements of all social groups drawn toward the saints’ shrines by their spiritual magnetism in hopes of experiencing transformation. Overall, the descriptions of movement included in the three miracle collections were meant to establish social norms of movement. Therefore, this dissertation concludes that movements of relics, with relics, and for relics were the most acceptable movements in these three miracle texts and that all other movements were subject to scrutiny.